Comments: Evon Zartman Vogt (Nee: Vogt) | Ramah New Mexico USA | | Comments: Evon Zartman Vogt died on January 26th,1943 of a heart attack. He built a ranch for his wife Shirley (Bergman)Vogt in Ramah,New Mexico. She was 85 in 1985. 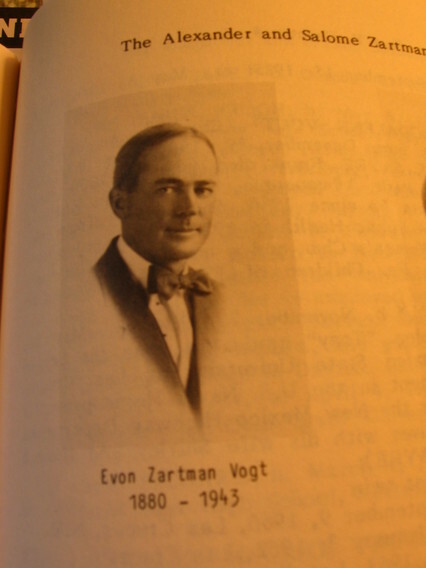 Do not know where Evon Zartman Vogt is buried.